Now that the cooler weather is mostly gone, we don’t need our warm clothes for a few more months. It’s time to pack them up get busy with spring closet cleaning and organization. Although it is a daunting task, there are habits and techniques that can be adapted to ease the process. Does it still fit me or is in good condition? Is it flattering on me or do I love it? Does this project the image I want? Sell – Why not make a few extra bucks by selling items you have not worn lately, no longer fit or that you just don’t wear anymore. Donate – Another option is to donate to your charitable organization of choosing. Place the most often worn clothing in the most easily accessible place. Place the least often worn clothing in the least accessible place. 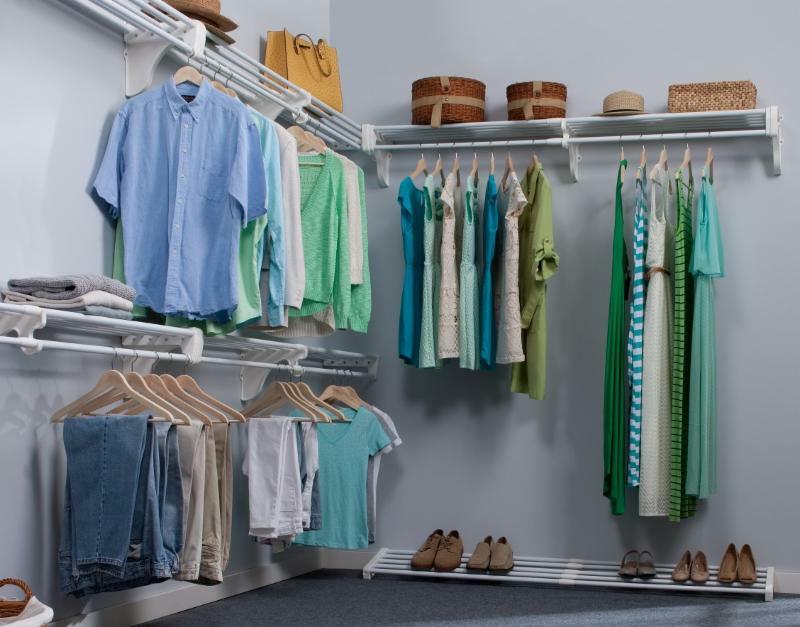 Cluster your clothes in to groups of 5-8 items that go together making outfit picking and clothes shopping easier. Cluster outfits together according to color mostly. 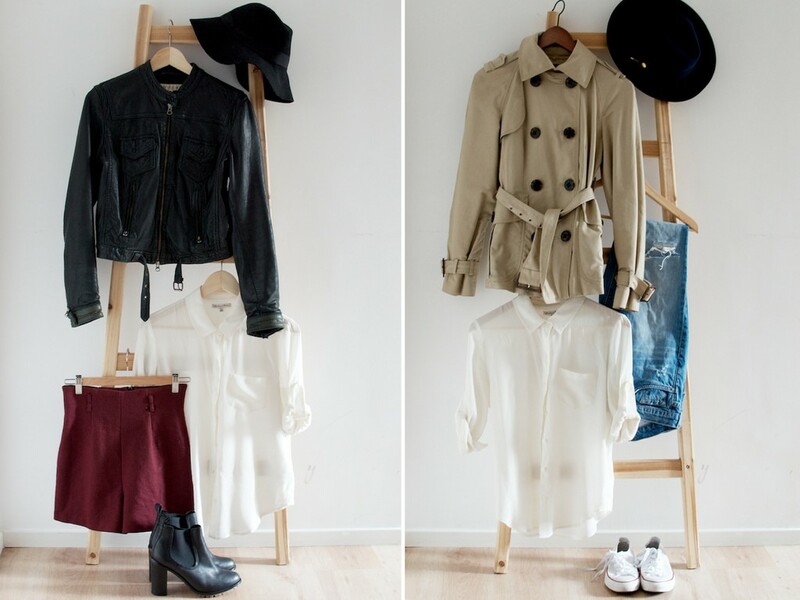 Add items that would work to dress it up or down and you’ve created your own mini collections in your closet. Think outside of the box and use office organizers for jewelry items, small clutches, etc. Use shelf dividers to keep neat piles that won’t topple over on top shelves. Hanging shoe organizers are not only great for shoes, but for rolled up bulky sweaters as well. Use your closet doors to hang items out of the way or for a door shoe organizer. Use space saving hangers, with cascading hooks, or tiered skirt or pant hangers. Add a rod for a second level of hanging space. Professional Organizer Kate Brown suggest keeping a discard bag in your closet for items you want to donate or sell later on. If you put on a garment and take it right off due to issues such as fit or unflattering look, put it in the bag. If you have not worn a garment in a few months, put it in the bag. If it is damaged or has stains, put it in the bag. This tip makes it easier to purge your closet the following year and keeps it better organized. Clothes should be spaced out from each other. It is easier to get dressed when you can see all of your clothes. Bunching together clothes damage and wrinkle a lot faster. Also, you won’t lose track of items if you can see all of it. Another suggestion is “one in, one out.” If you buy an item, get rid of an item.